(JNS.org) Israel and European nations will sign a memorandum of understanding Tuesday to advance the construction of the world’s longest underwater gas pipeline, the financial news outlet Globes reported. 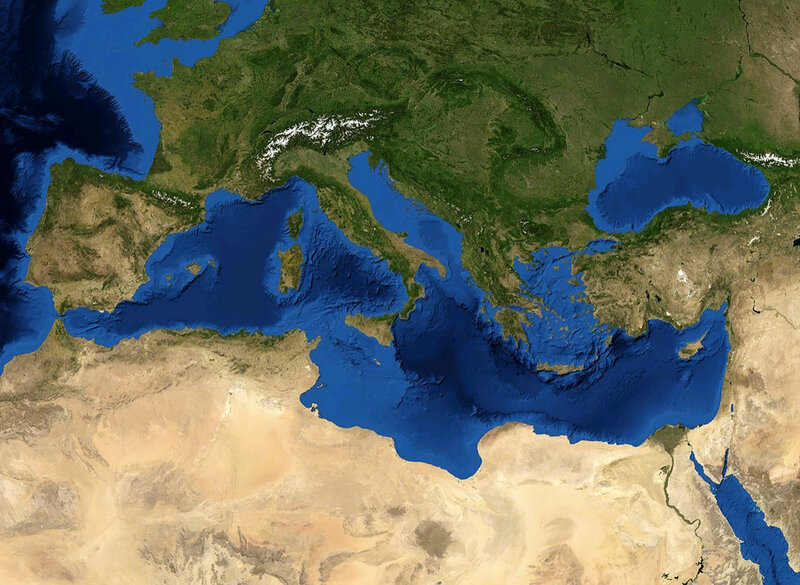 A satellite image of the Mediterranean Sea. Slated for completion in 2025, the Israel-Europe gas pipeline will run 1,200 miles undersea between the Jewish state and Italy. Credit: Eric Gaba/NASA World Wind. The agreement will be signed in the Cypriot capital of Nicosia at an energy summit attended by Israel’s Minister of National Infrastructure, Energy and Water Resources Yuval Steinitz, along with his counterparts from Cyprus, Greece, Italy and the European Union. The gas pipeline was originally agreed upon with the signing of a joint statement during April’s EastMed Energy Summit in Tel Aviv. The pipeline will cost upwards of $5.5 billion to construct and will span 1,200 miles, running undersea between Israel and Italy. Estimates state that, when operational, the pipeline will deliver 12-16 billion cubic meters (424–565 billion cubic feet) of gas per year. The project is slated for completion by 2025. The pipeline is likely to significantly increase Israel’s natural gas export potential and strengthen the Jewish state’s position as an emerging energy powerhouse in the Mediterranean. Posted on December 4, 2017 by JNS.org.